Reception Desk Made For Any Space! 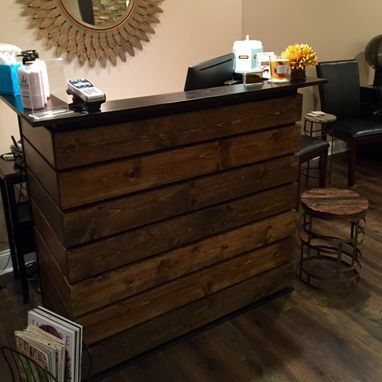 This reception desk was created with the vision of the customer for her beauty salon! It can be created with any dimensions, colors, styles you like! It has storage shelves in the back and doors can also be added in addition! Inquire today for us to build one for your home, office, or place of business!